It is not known if Dinnington had a church before the Norman Conquest but it if did, it is not recorded in the Doomsday Survey. This would not be unusual, however, as not all churches known to be in existence at the time were recorded. For example, the nearby church at Laughton, plainly of Saxon foundations is not mentioned. One possible reason for this is that the Doomsday Book was assembled for taxation purposes and as churches were not taxed at the time, it was not essential to list one. The first recorded church in Dinnington was founded by William de Warenne, Earl of Surrey. His Yorkshire lands included the Honour of Conisbrough, of which Dinnington was part. He built Dinnington church some time before his death in 1088. This original church was destroyed by fire around 1318. It is not known when the church was rebuilt but the Norman tower base and pillars appear to have survived the fire from descriptions around 400 years later." By the 1780's this medieval church was in a poor state and was demolished in 1785. The Lord of the Manor, Robert Athorpe, built a new church on the same site and changed its dedication from St. Nicholas to St. Leonard. 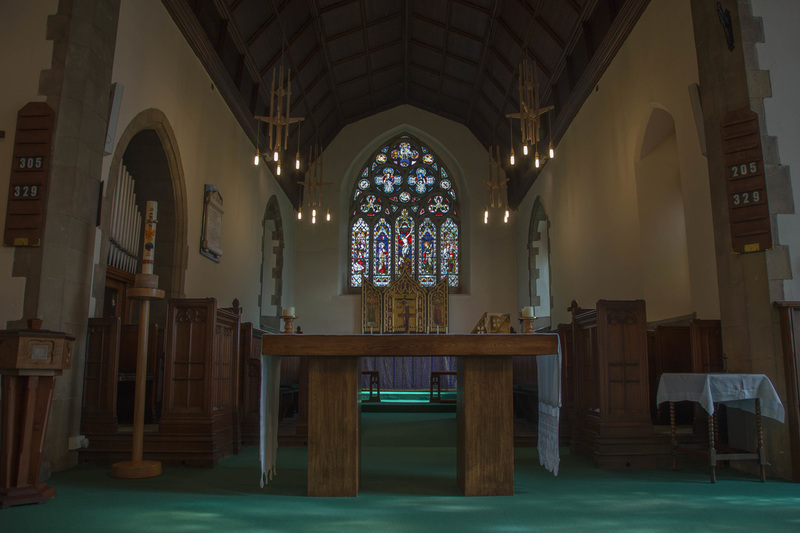 The new Church was small and so in 1868, John Carver Athorpe rebuilt the nave and part of the chancel. It has been enlarged a further three times since these works. The south porch was built as part of the 1906 alteration, and has small east and west windows. The outer and inner doors are arched. The narthex is an an entrance lobby next to the outer door of a church, separated from the nave by a screen or wall. The Narthex is the latest adedition to the structure of the church, being built in 1985 / 1986. It is a two a storey structure; the ground floor contains the old limestone font, and the memorial tombstone to Thomas Spencer, an early Rector who died in 1679, is set into the west wall. A toilet and kitchen are in adjoining rooms. 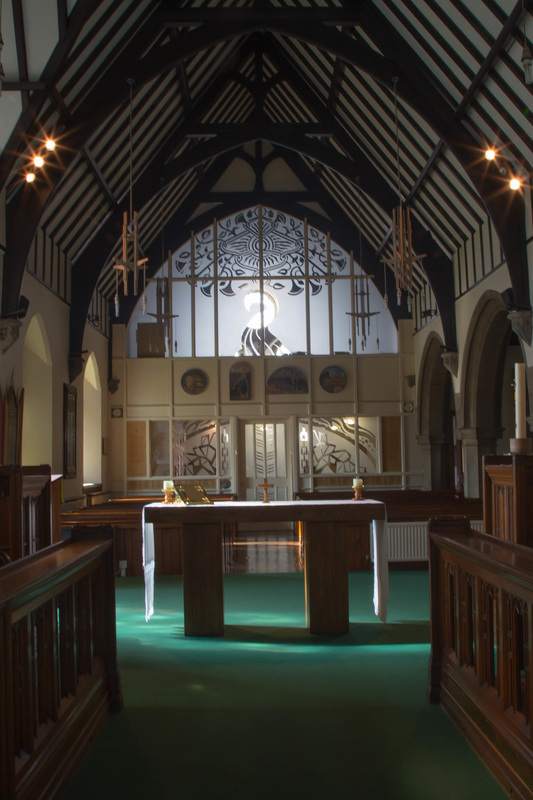 ​The north aisle was built onto the nave as part of the 1906 enlargement of the church to help house the greatly increased congregation brought about by the opening of the colliery. To the west end of the north aisle you can see the banner of the National Union of Mineworkers, Yorkshire Area, Dinnington Branch, whose proud motto 'Progress and Prosperity' is displayed. 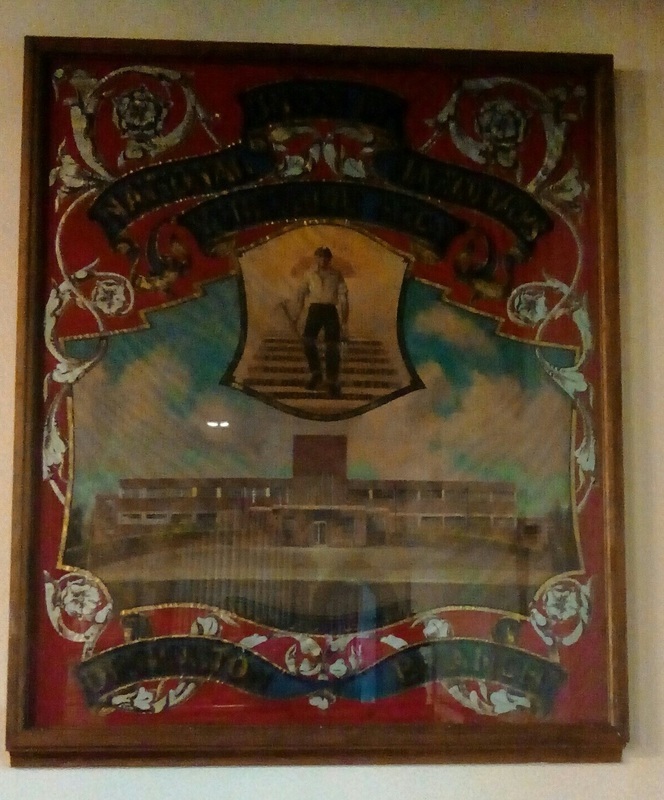 A brass plaque at ther side of the banner reads that it was presented by the NUM at a special service on 20th October 1991, which marked the closure of Dinnington Colliery. The north wall has three decorated windows, each with stained glass which light the aisle. 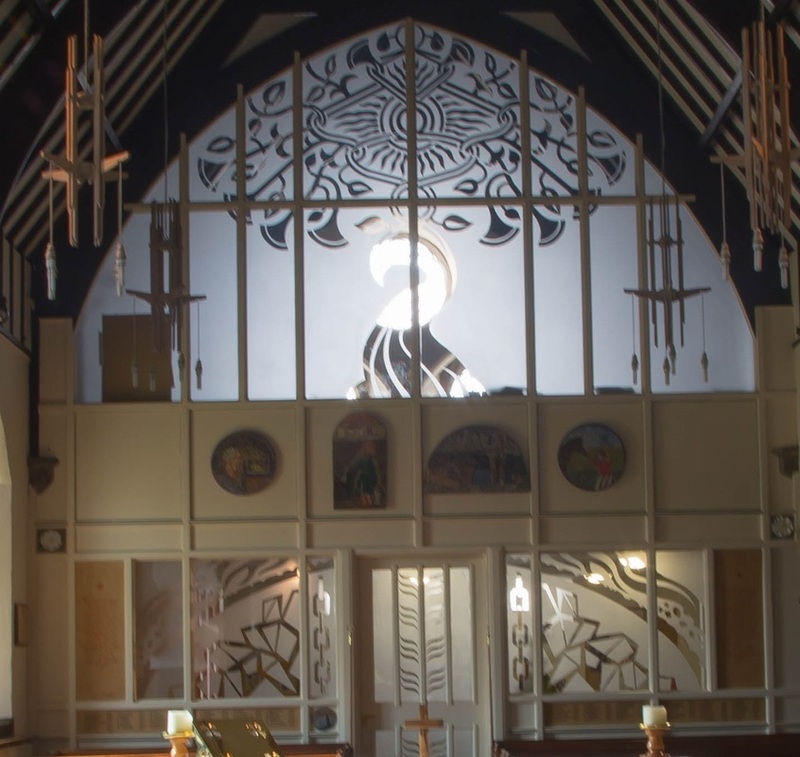 There is a brass plaque which explains that the stained glass in these windows was erected to the glory of God in memory of George Chapman and his wife Mary. 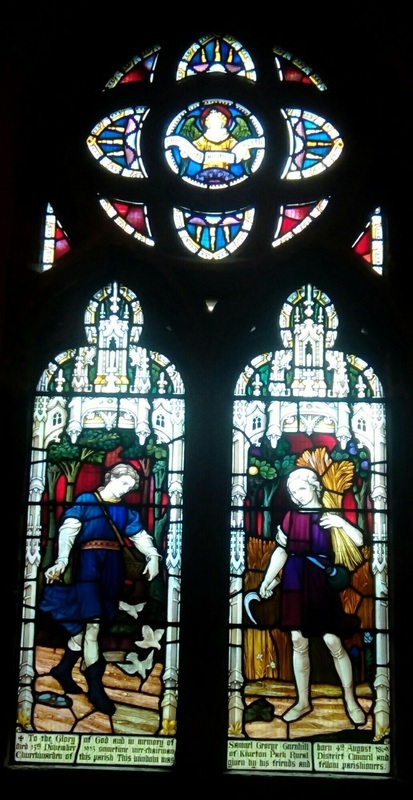 These windows are the work of the noted Victorian maker of stained glass, Charles Kempe. More information and photos about these wonderful windows can be found on our Kempe Windows page. The Vestry can be found at the end of the north aisle. 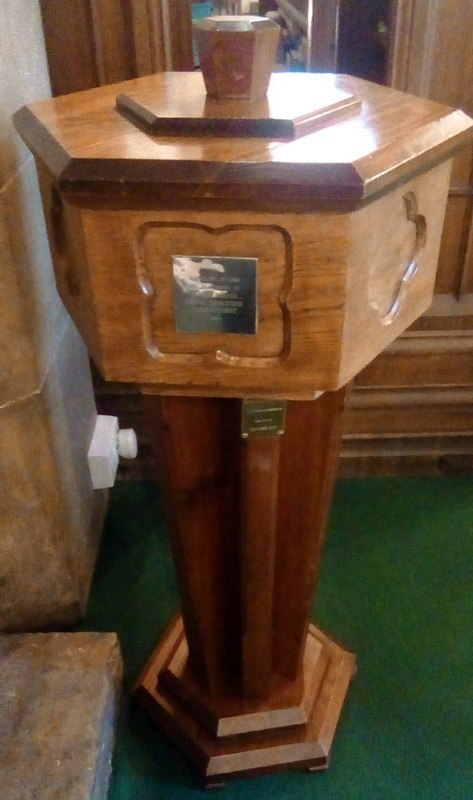 ​A wooden lectern, in the form of a fierce eagle, stands close to the Vestry as does a wood and glass case containing a memorial book. 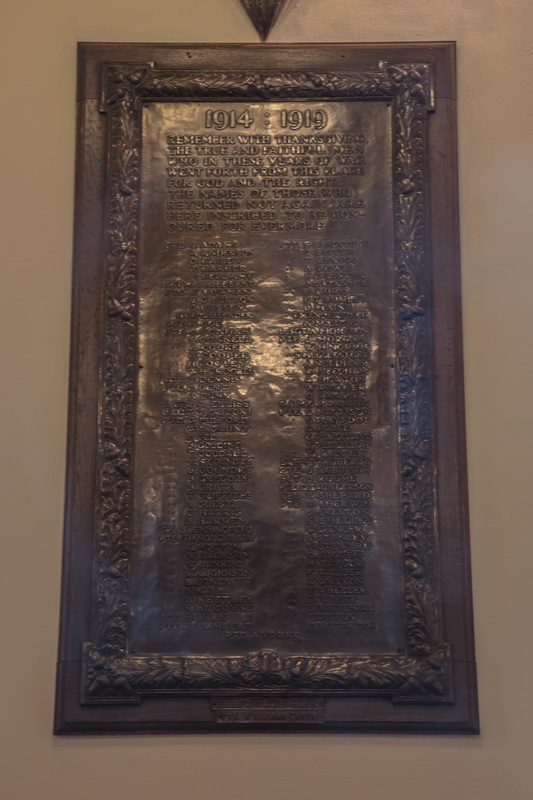 The case was presented to the church in memory of Tony Dicks by his wife Judith. ​The Athorpe family crypt is also at the east end of the aisle - a memorial of brass on wood to those members of the Athorpe family buried there between 1791 and 1954 is fixed to the north wall (the external entrance to the crypt is now blocked off). A statue of Mary with Jesus stands against the east wall of the chapel; this commemorates Ruth Littlewood and was given by her husband and family. 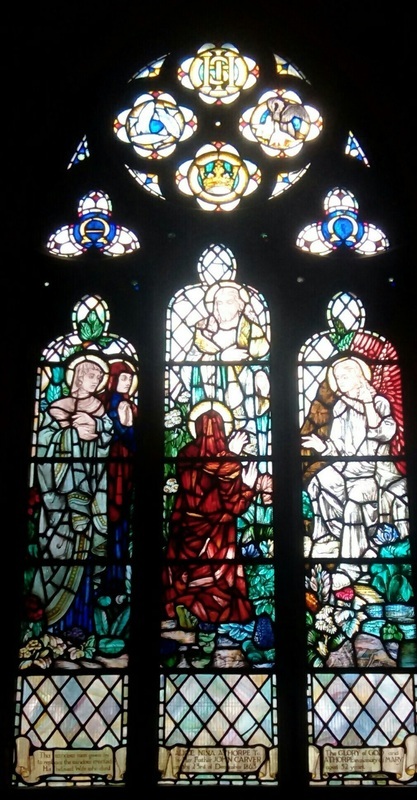 ​The stained glass window here is in memory of Mary Athorpe. A brass plague under the window is to the memory of John Carver Athorpe of Dinnington Hall. Another, more recent, brass plaque under the window celebrates the millennium of Christianity in the Ukraine (988-1988) and was placed here by the Ukrainian community of Dinnington. ​To the west wall of the chapel is a memorial to Marmaduke Athorpe JP and at the side of this, a brass in the form of a Celtic cross is to Gordon Pyper and his wife Eliza Law Blackie Pyper. This was placed here by Anne Athorpe (their daughter) and her brother and sister. The nave is the main body of the church. The pulpit stands to the side of the chancel arch. It is made of limestone and features a carved angel and an IHS motif to the front. This symbol is derived from the Greek spelling of Jesus. A wooden candle stand, holding the Easter candle, is by the pulpit. ​The memorial to the men who gave their lives in the First World War is also on the south wall. Also, in the nave, is a brass in memory of Florence A Harrison, Patrol Leader in the Rangers of Dinnington Girl Guide Company. The Chancel and Sanctuary The beautiful chancel roof is made of pine. A wooden altar stands at the east end of the nave, in the centre of the chancel arch. ​ The East window is in the decorated style as are the others in this part of the church. ​To the rear of the altar is a 'triptych', a set of three pained and gilded panels. The panels are hinged so that the outer leaves protect the centre when closed and support it when open. 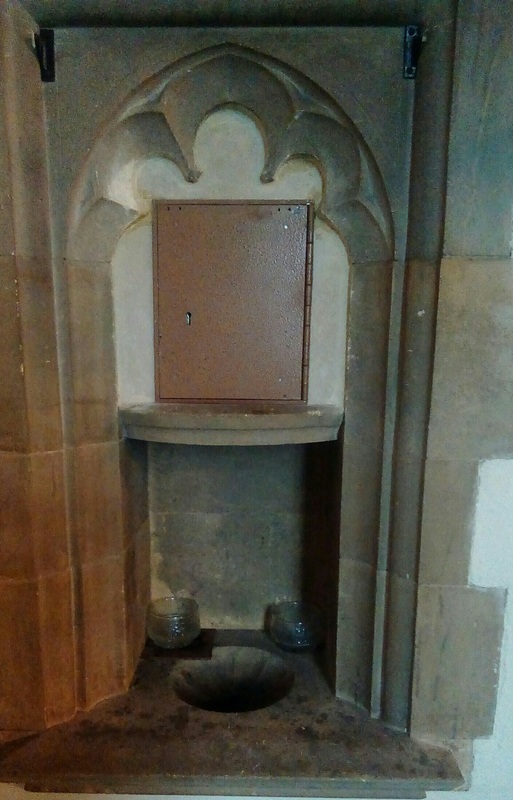 On the south wall of the sanctuary is a 'Piscina', above is a cupboard called an 'Aumbry' which contains consecrated bread and wine for taking to the sick in their homes. The choir stalls, clergy stalls and organ (by Henry Willis) are all situated in the chancel. 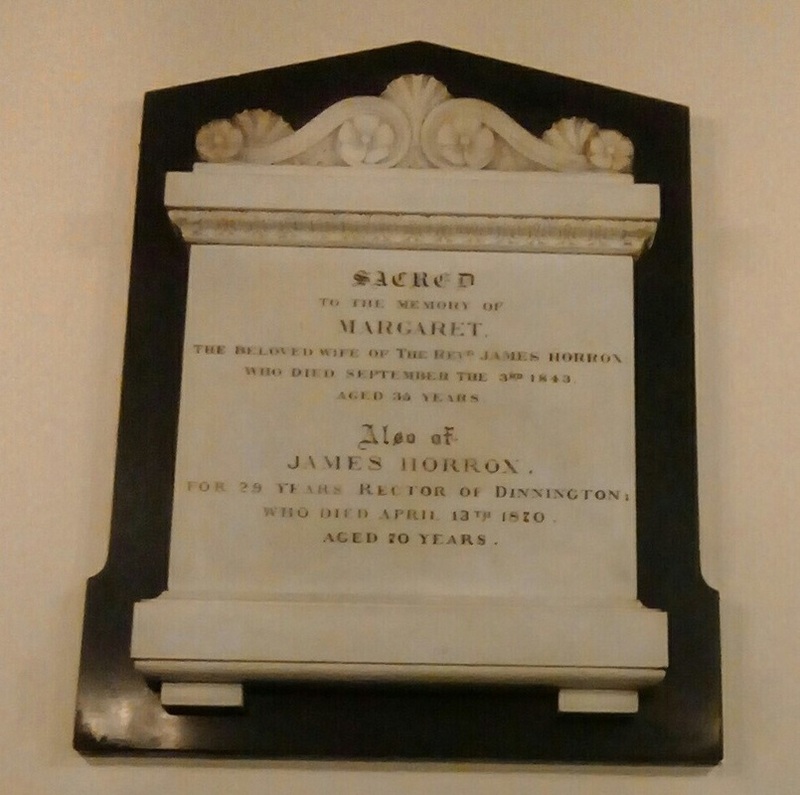 ​The marble memorial on the north wall is to the Reverend James Horrox, who was the Rector of Dinnington for 29 years, and his wife Margaret. ​There is also a window in the Early English lancet style in the south wall of the chancel with stained glass of Mary. ​Across the west end of the church separating the nave from the narthex is the glass and wood panelled Miners' Memorial Screen. 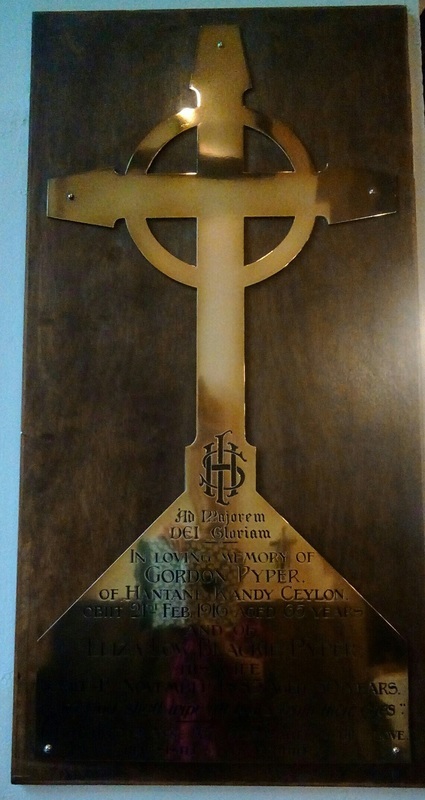 It was dedicated at a special service on 4th November 1994 by the Right Reverand David Lunn, Bishop of Sheffield. 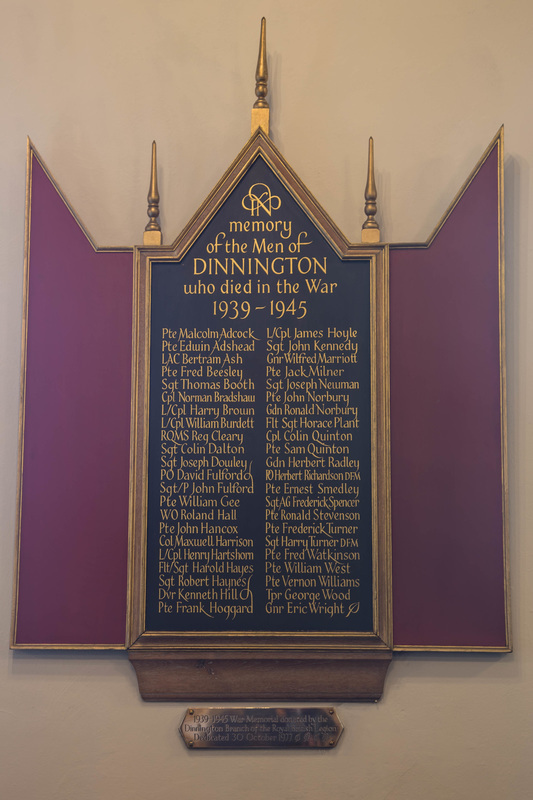 The memorial commemorates more than 70 men who died in their work at Dinnington Main Colliery between its opening in 1902 and its closure in 1991. It takes the form of a Tree of Life, and at its heart are the mosaic panels made by local people - the residents of Chindit Court and St. Joseph's Court - which depict the lives and memories of the mining community.